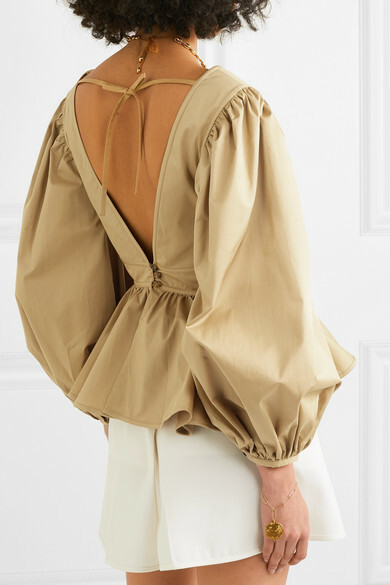 STAUD's 'Luna' blouse is cut from crisp cotton-blend poplin in the color of the season. 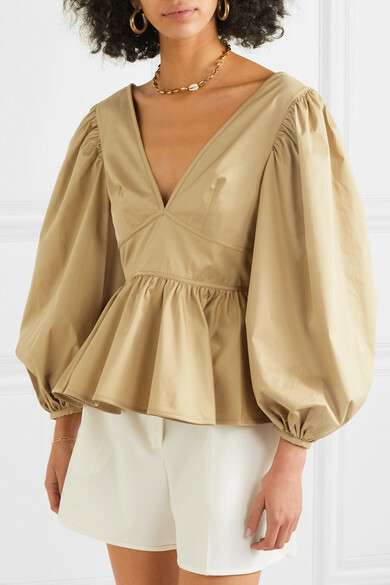 It has puffed sleeves and a pretty ruffled hem that draws the eye to the smallest part of your frame. 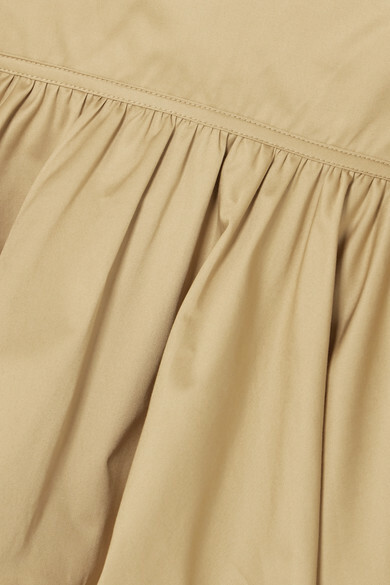 Balance the voluminous silhouette by wearing it with flared shorts. Shown here with: Jil Sander Shorts, STAUD Bucket bag, STAUD Slides, Tohum Necklace, Alighieri Bracelet, Laura Lombardi Earrings.